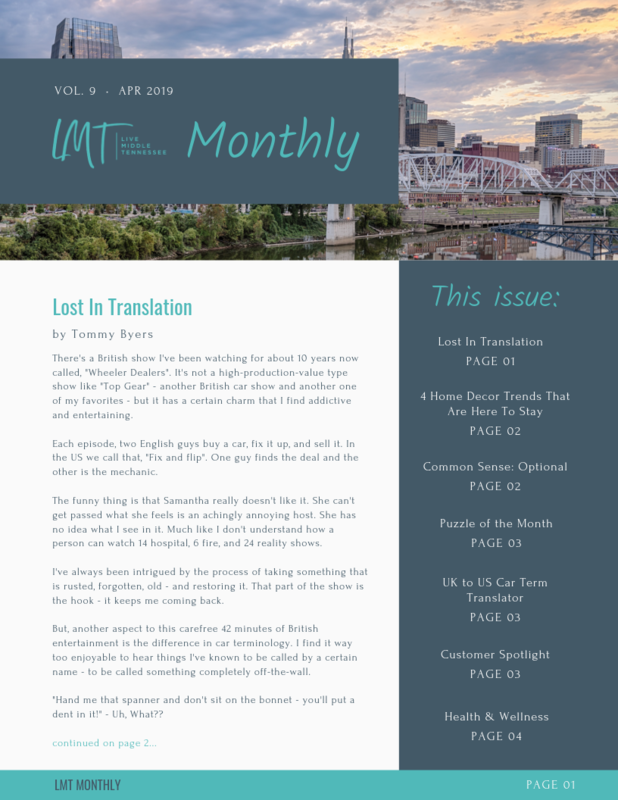 This is Live Middle Tennessee’s monthly print publication “LMT Monthly”. 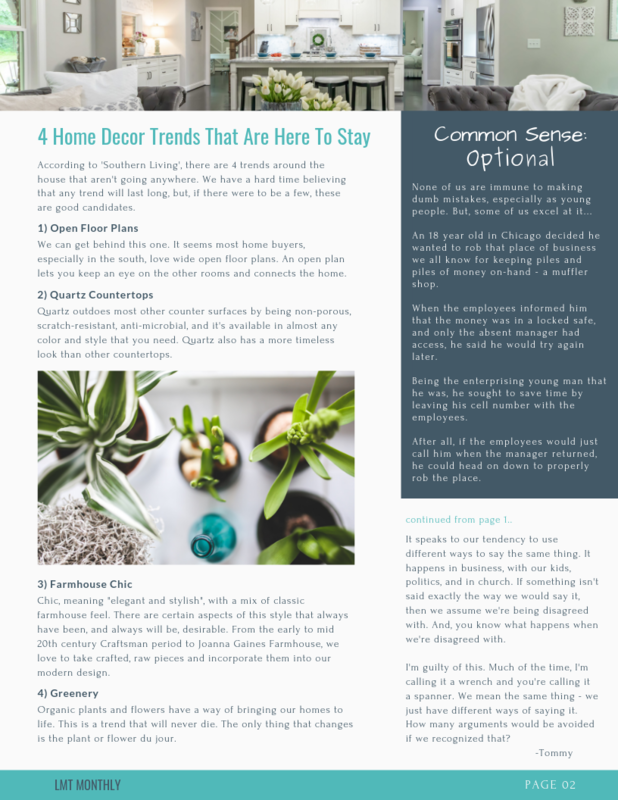 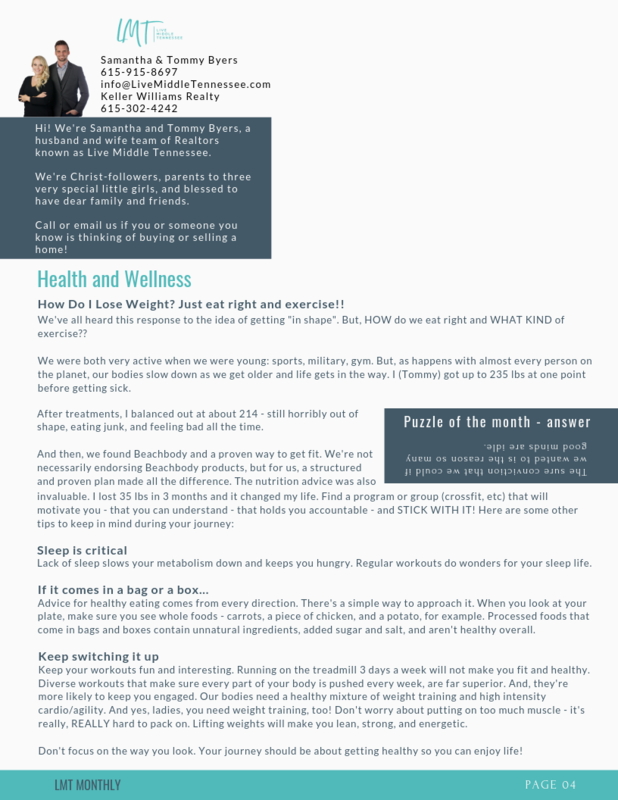 If you would like to receive a print copy mailed to your home every month, and you live in the middle Tennessee area, please send your name and address to info@LiveMiddleTennessee.com with the subject line “Monthly Letter”. 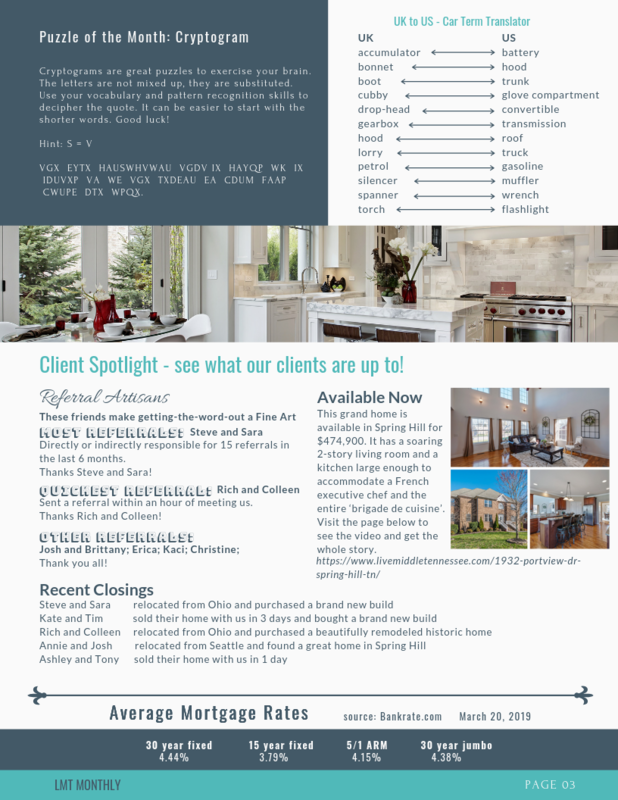 Fill out the Contact Us section to get in touch about buying or selling a home!